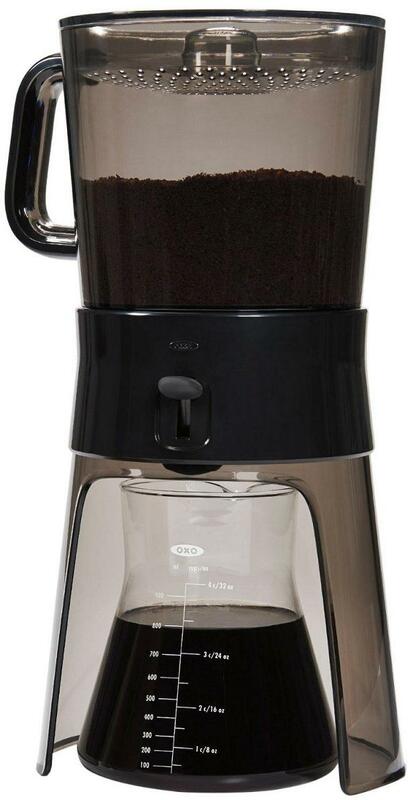 Looking for the best coffee gadgets to make chilled coffee right in your home? 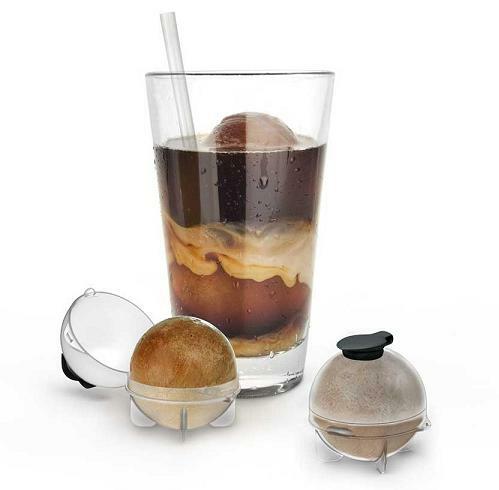 Look no further we have the 'Best Iced Coffee Gadgets' from all over the world. 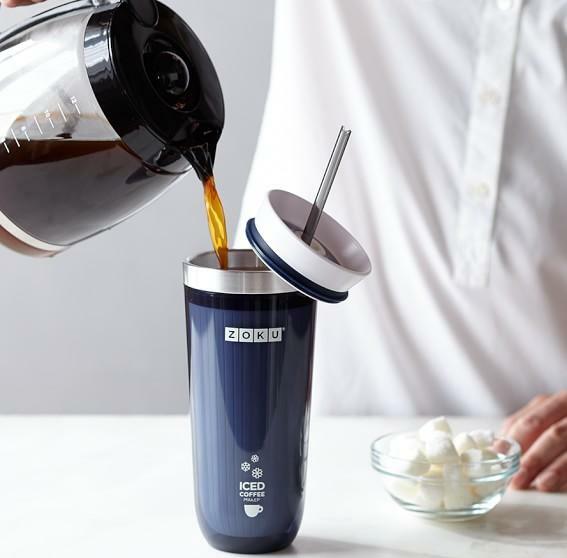 Zoku Iced Coffee Maker: The Zoku Iced Coffee Maker gives you a cool cup of perfectly iced java in minutes. 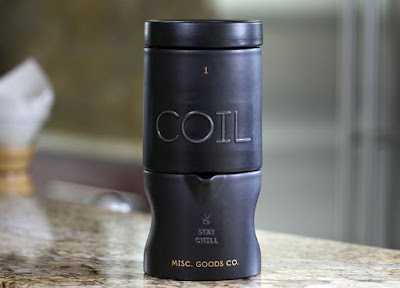 All you need to do is place the pre-chilled cup into the special insulating sleeve and pour your coffee and it chills it in minutes. Buy Now: $29.95. Coil Chiller: The Coil Iced Coffee Maker can drop the temperature of your freshly made coffee from 210° to 48°. 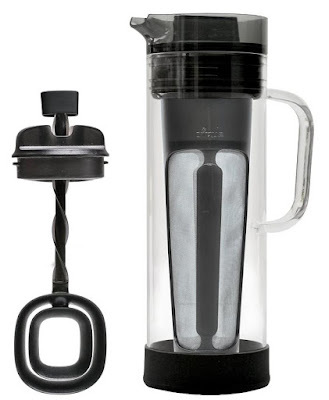 Its crafted from ceramic and contains 9 feet of coiled stainless steel pipe to chill your coffee. Buy Now. Bru Single-Serve Coldcoffee Maker: Bru Single-Serve Coldcoffee Maker lets you make your very own delicious coldcoffee at home. You can control the strength and the brewingtime; works with any type of ground coffee and its double-wall tumbler can be comfortably placed in your fridge. Buy Now: $39.99. 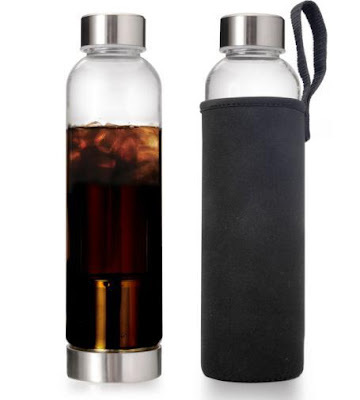 Primula Coldbrew Bottle: The Primula Coldbrew Bottle is perfect for coffee on the go. It's a 20 oz. 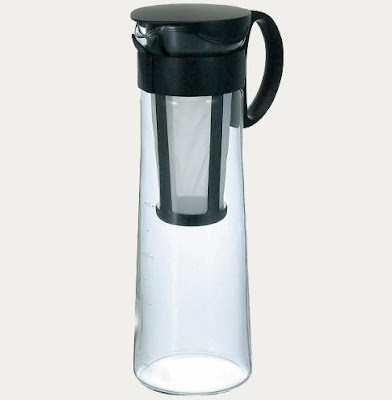 borosilicate glass coffee bottle with a stainless steel filter and black neoprene sleeve. 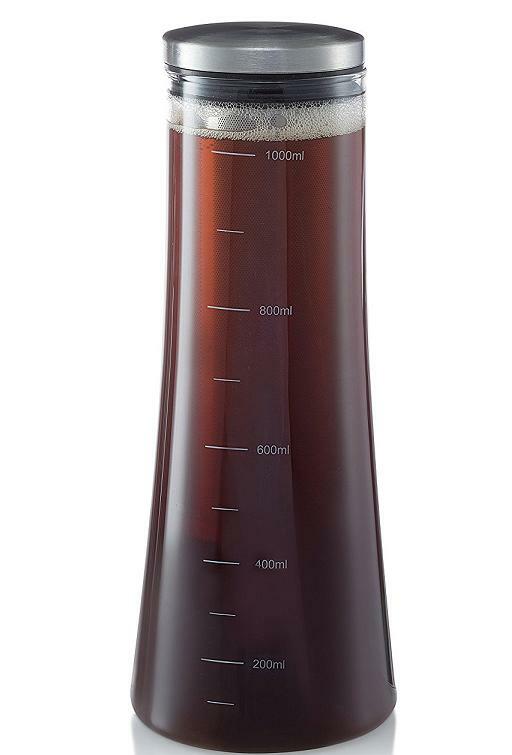 All you need to do is fill the coffee filter with 4 tablespoons of coffee, fill the water 1.5 inches from the top and store in the fridge for 12 hours and shake during the brewingprocess. Buy Now: $24.99. 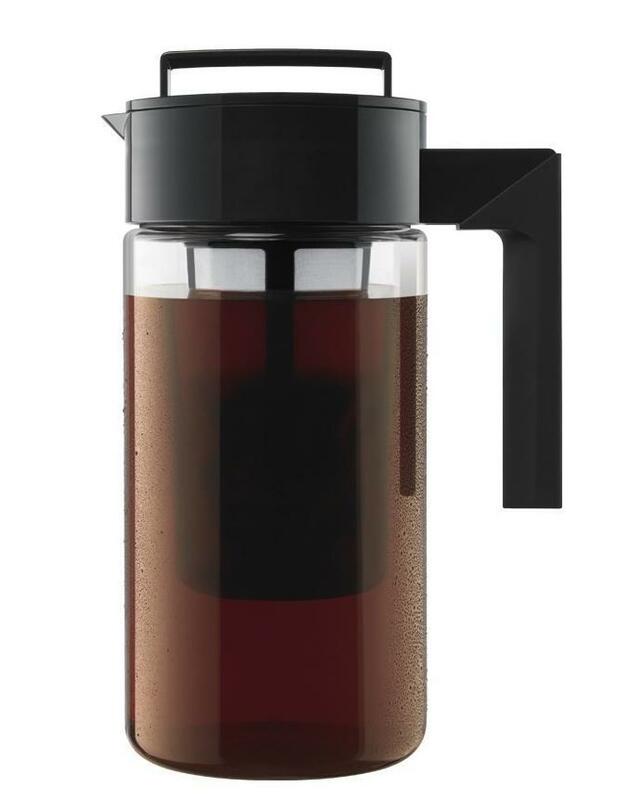 Hario Mizudashi Coldcoffeepot: Hario Mizudashi Coldcoffeepot is made to do what French press does but using coldwater. It lets you enjoy chilled coffee in a cinch with this all-in-one device. Buy Now: $25. 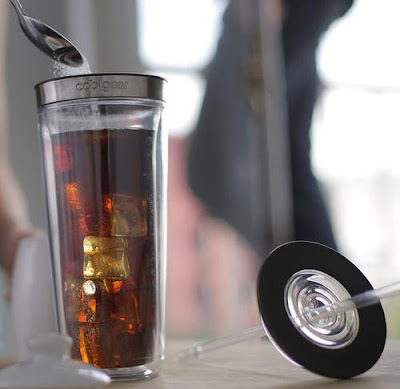 Coldbruer: The Bruer lets you make more flavorful and less acidic taste iced coffee. Buy Now: $ 80. 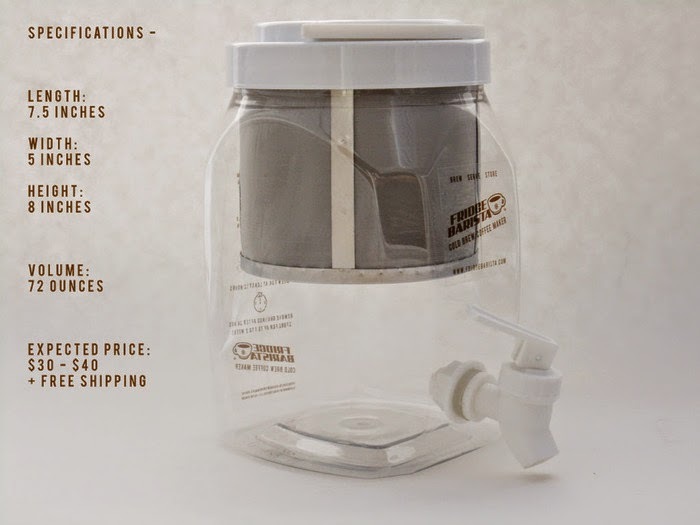 Toddycoldbrew System: It extracts the bitter acids and oils and gives you a smooth, low acid concentrate ideal for iced coffee. Buy Now: $39.50. Prepara Icepods: Its 2" and packs serious chill power, keeping coffee cooler and for longer. Just fill them with cooled coffee. More info. 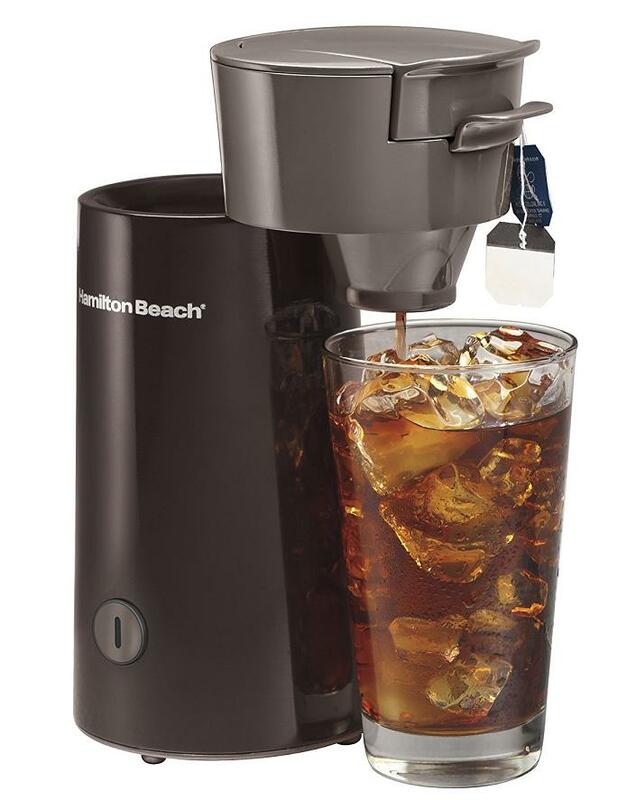 Hamilton Beach Iced Coffee Maker: The Hamilton Beach Iced Coffee Maker gives you iced coffee in 3 simple steps; just fill a 16 oz. glass with icecubes and place under the spout, put coffee into the filter basket and fill water reservoir with 8oz of water, press on and enjoy. Buy Now: $65. 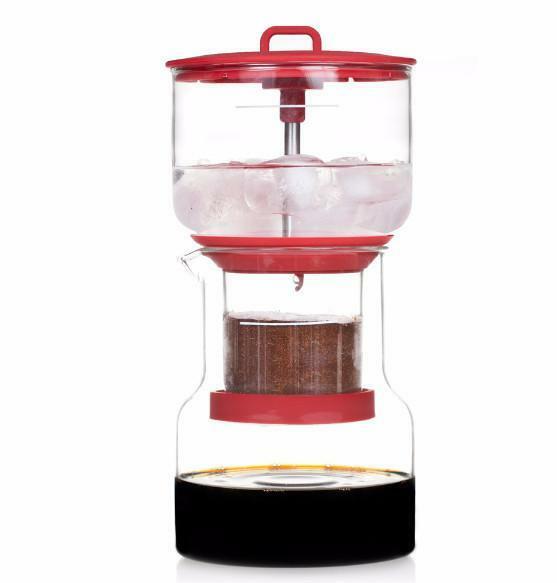 Gourmet Iced Coffee Maker: The Gourmet GCM9825 Iced Coffee Maker lets you enjoy barista-quality coldcoffee right in your home. All you need to do is just fill the removable column with coffee grounds, and watch the water extract their rich, bold color and flavor. And in just few hours, you're ready to have a perfectly smooth cup of café energy. Buy Now: $19.94. 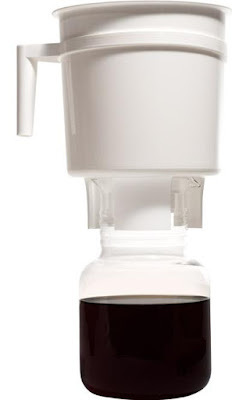 Takeya Coldbrew Iced Coffee Maker: The Takeya Iced Coffee Maker gives you a well balanced, smooth, concentrated coffee minus the acidic and bitter flavor that you can use in your iced coffee. Buy Now: $17.79. Oxo Coldbrew Coffee Maker: The Oxo Coldbrew Coffee Maker gives you a smooth, delicious low-acid coffee concentrate, that you can use to prepare coldcoffee. 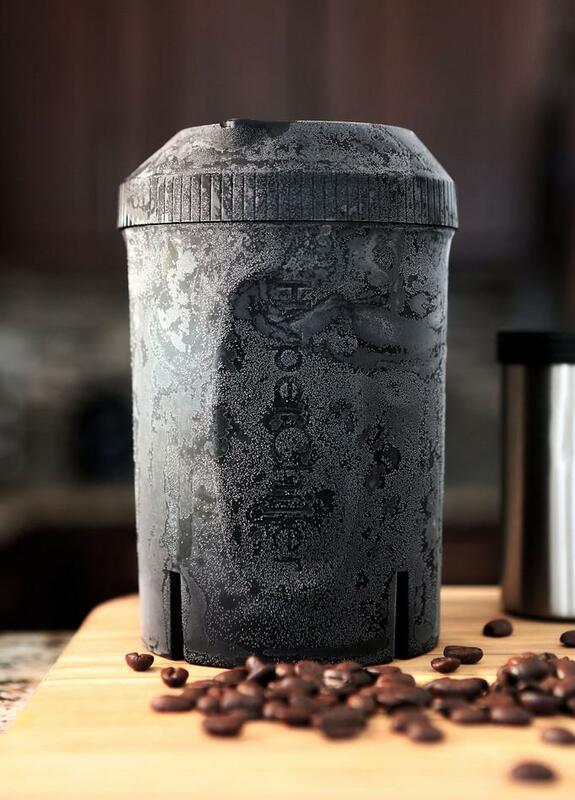 Its easy to access, the switch activates filtration process while keeping the hands clean and its stopper keeps coffee fresh in the refrigerator. Buy Now: $49.95. 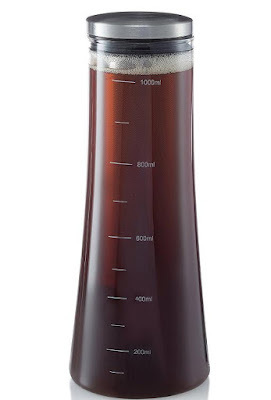 Primula Coldbrew Glass Carafe Brewingsystem: The Primula Coldbrew Glass Carafe Brewingsystem is designed for coldbrew method for a smoother more robust no bitterness flavor. Buy Now: $23.95. Fridge Barista: This coffee maker consists of four pieces that makes, serves and stores your chilled coffee. Buy Now: $34.95.